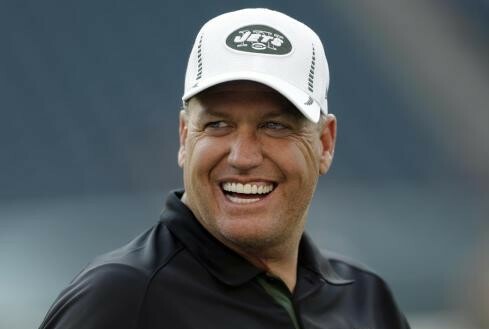 After the New York Jets beat the Miami Dolphins 20-7 to end their season, owner Woody Johnson announced that Rex Ryan would be the Jets’ head coach next year. Then, he backed that up by inking Ryan to a multi-year extension. Finally, the Jets’ make a smart move. Yes, I understand that Ryan can be a bit of a blow-hard, but he is one of the best coaches in the NFL, and this year’s performance proves it. Every NFL pundit from the blow-dries at ESPN to myself and Ryan Meehan on Sports Blog Movement had the Jets written of as nothing more than a runaway train crashing into a burning mound of tires, all to a Nickelback soundtrack. We’re talking about a disaster of epic proportions. It seemed like such an easy bet; all the signs were there. This team was thinner on talent than an Ethiopian swimsuit model with a six-foot tapeworm, they were banking on a rookie quarterback, all of which made Ryan’s future seem as certain as hitting the trifecta at the dog track.